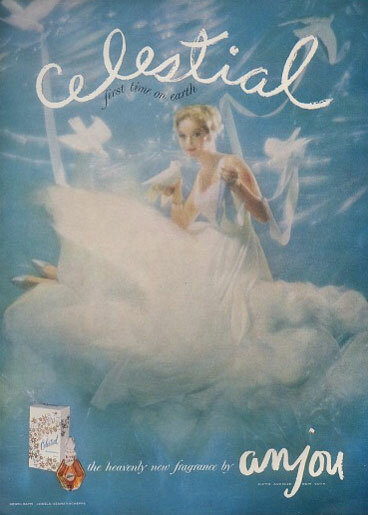 Perfume and fragrance advertisements for Anjou Celestial. 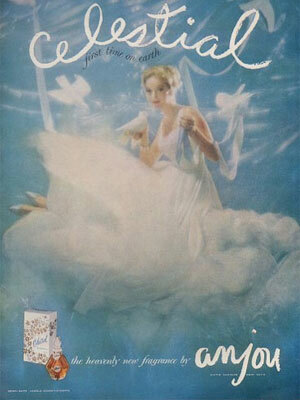 Celestial by Anjou - This heavenly scent was launched in 1957. 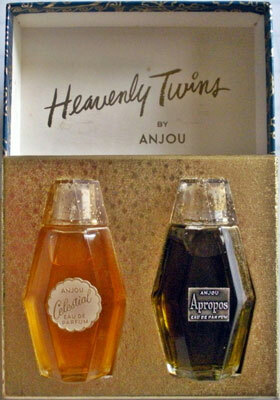 "Celestial first time on earth...the heavenly new fragrance by anjou."